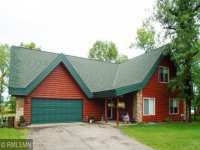 DISTINCTIVE APPOINTMENTS/FLAWLESS ELEV./EXCELLENT SUGAR SAND/GREAT WATER CLARITY/16X24 BOATHOUSE-YEAR ROUND BUNKHOUSE/5BR-5BA EXECUTIVE LAKE HOME/7000+ SQ. . . .
BEAUTIFUL 5+ ACRE LOT ON FULLY RECREATIONAL ROUND LAKE IN THE MAHTOMEDI SCHOOL DISTRICT, BRING YOUR BUILDER AND YOUR OWN PLANS OR USE OURS! THIS COULD BE THE HOUSE OF . . . MAGNIFICENT CHALET HOME ON BEAUTIFUL ROUND LAKE. OVER 4500 SQ. FT OF FINISHED LIVING AREA WITH AN . . . MAGNIFICENT CHALET HOME ON BEAUTIFUL ROUND LAKE. OVER 4500 SQ. FT OF FINISHED LIVING AREA WITH AN ABUNDANCE OF LIGHT &AMP; OPEN SPACE. 150+ FEET OF MEDIUM GRADE . . . ROUND LAKE-VERY WELL MAINTAINED FULL LOG 5BR/3BA HOME ON THIS CRYSTAL CLEAR LAKE! THE WARM & . . . 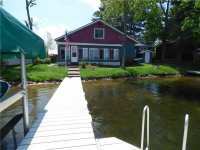 ROUND LAKE-VERY WELL MAINTAINED FULL LOG 5BR/3BA HOME ON THIS CRYSTAL CLEAR LAKE! THE WARM &AMP; INVITING HOME HAS ALL ESSENTIALS ON THE MAIN FLOOR INCLUDING THE MASTER . . . 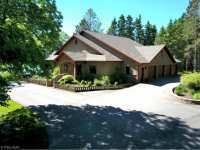 ROUND LAKE HOME WITH 100 FEET OF PERFECT LEVEL ELEVATION AND SANDY FRONTAGE ON LEDER BAY! 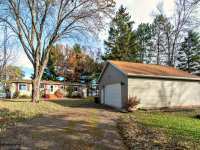 WELL MAINTAINED HOME WITH NUMEROUS UPDATES; FURNACE, FLOORING (HEATED BATHROOM . . . ROUND LAKE HOME WITH 100 FEET OF IDEAL ELEVATION AND SANDY FRONTAGE ON LEDER BAY! 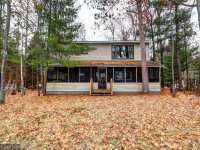 WELL MAINTAINED WITH NUMEROUS UPDATES; FURNACE, FLOORING, KITCHEN, FIREPLACE, SEPTIC . 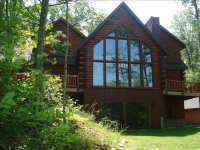 . .
CHALET STYLE LOG HOME WITH MAIN FLOOR MASTER SUITE WITH ACCESS TO LARGE LAKESIDE DECK. THIS GORGEOUS LOG HOME WITH AN OPEN FLOOR PLAN IS LOCATED ON A QUIET BAY ON BIG . 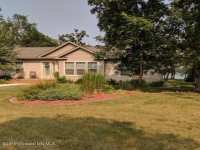 . .
GREAT FIND ON CLEAR ROUND LAKE WITH 217' OF LEVEL, SANDY FRONTAGE! WELL MAINTAINED, FOUR SEASON HOME WITH 3-CAR DETACHED GARAGE, WOOD BURNING FIREPLACE, LARGE WALK-IN . . . STUNNING EXECUTIVE LAKEHOME ON 8AC W/388 FT OF SAND SHORELINE. THIS 2852 SQ FT HOME, HAS 3+ BR, LG OPEN KITCHEN W/ ANTIQUE WHITE MAPLE CABINETRY, CAMBRIA COUNTERTOPS, . . . NEWLY DIVIDED LAKE LOT ON LITTLE ROUND LAKE. PRIVATE PENINSULA WITH 4.7 ACRES AND 877' OF LEVEL TO SLIGHTLY SLOPING SHORELINE. SOUTHERN & WESTERLY EXPOSURE. BEAUTIFUL WESTERLY SUNSET VIEWS, LOW ELEVATION TO 348 FT. OF LAKE FRONTAGE ON ROUND LAKE. SANDY . . . 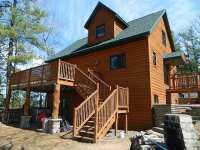 CUSTOM BUILT HALF-LOG SIDED LAKE HOME WITH 235 FT LEVEL FTG ON ROUND LAKE. MAIN FLOOR BEDROOM, BATH . . . 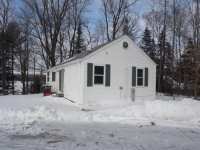 COMPLETELY REMODELED HOME OR CABIN ON PRISTINE LITTLE ROUND WITH ACCESS TO ROUND LAKE. 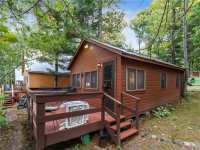 NEW KITCHEN, BATHROOM, APPLIANCES, FLOORING, INTERIOR PAINT AND NEW ROOF IN 2016. . . .
RARE OPPORTUNITY TO OWN A COMPLETELY REMODELED CABIN IN THE GRAND PINES RESORT RENTAL POOL ON PRISTINE LITTLE ROUND WITH ACCESS TO ROUND LAKE. NEW KITCHEN, BATHROOM, . . . ROUND LAKE-OWN A PIECE OF HISTORY ON THIS PRISTINE LAKE! THIS 1920S LODGE WAS THE FIRST BUILDING ON . . . ROUND LAKE-OWN A PIECE OF HISTORY ON THIS PRISTINE LAKE! THIS 1920S LODGE WAS THE FIRST BUILDING ON THE POINT; THE CHOICE 1.3 AC LOT HAS A SANDY SHORELINE AND . . . NEWLY DIVIDED LAKE LOT ON LITTLE ROUND LAKE. 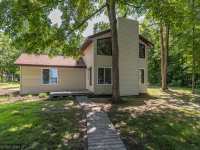 OPEN VIEWS OF THE LAKE WITH LEVEL BEACH FRONTAGE. NORTH & WESTERLY EXPOSURE. SEARCHING FOR A SPACIOUS LAKE HOME FOR ENTERTAINING? DOES IT NEED LOTS OF STORAGE, SANDY SWIMMING, AND GOOD FISHING? THIS HOME CHECKS ALL YOUR BOXES! CUSTOM DESIGNED . . . ABSOLUTELY PRISTINE LAKE HOME ON BEAUTIFUL ROUND LAKE. GORGEOUS SETTING ON OVER 2 ACRES. 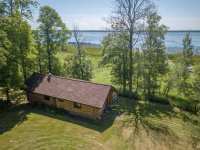 YOU WILL ENJOY ALL OF THE PRIVACY AND AMAZING TREES AND LANDSCAPING, WITH 300 FT . . .
GORGEOUS WEST FACING SUNSETS, GULL LAKE CHAIN W/13,000 ACRES OF WATER, 10 INTERCONNECTED LAKES. . . . MAGNIFICENT SOUTHERLY EXPOSURE OVERLOOKING SCHOOLHOUSE BAY TO THE OPEN WATERS OF ROUND LAKE W/150' OF SANDY BEACH FRONTAGE. SPACIOUS SLOPING LAKESIDE YARD TO WATERS . . . ENJOY SPECTACULAR VIEWS OF ROUND LAKE FROM THIS AFFORDABLE HOME! THIS 3 BEDROOM 1.5 BATH HOME HAS BEEN EXCEPTIONALLY WELL CARED FOR AND THE HOME HAS RECEIVED MANY RECENT . 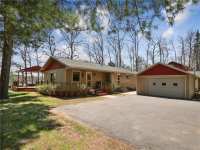 . .
OWN THE BEST WHISPERING PINES CONDO ON ROUND LAKE! 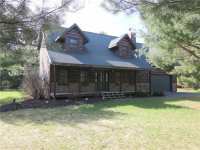 HIGH QUALITY CHALET WITH OPEN LIVING AREAS ,GAS STONE FIREPLACE, KNOTTY PINE ACCENTS FOR A NORTHWOODS FEEL & A BATH ON . 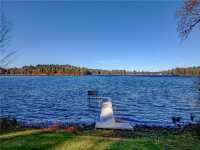 . .
OWN THE BEST WHISPERING PINES CONDO ON ROUND LAKE! 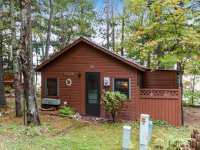 HIGH QUALITY CHALET WITH OPEN LIVING AREAS ,GAS STONE FIREPLACE, KNOTTY PINE ACCENTS FOR A NORTHWOODS FEEL &AMP; A . . .
LEVEL ELEVATION WITH SANDY LAKESHORE ON BEAUTIFUL ROUND LAKE. 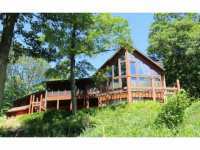 TWO STORY CABIN WITH LARGE SCREENED IN PORCH SITS CLOSE TO THE WATERS EDGE. CABIN HAS HAD SOME REMODELING . . . 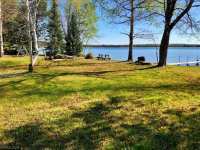 LOCATED IN AN AREA OF UNRESTRICTED RENTALS, THIS FABULOUS GULL LAKE CHAIN GEM OFFERS GENTLE ELEVATION TO 103 FEET OF SHORELINE WITH HARD SAND LAKE BOTTOM FOR SWIMMING . . . ENJOY SPECTACULAR VIEWS OF PREMIER, ROUND LAKE FROM THIS STUNNING 4 BEDROOM, 3 BATH CHALET. QUALITY SHOWS THROUGHOUT WITH CUSTOM FEATURES SUCH AS; GRANITE COUNTER TOPS, . 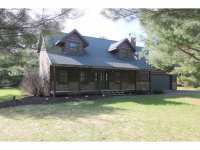 . .
PREMIER 4 BD, 3 BA CHALET ON ROUND LAKE WITH SHARED FRONTAGE. NORTHWOOD ACCENTS THROUGHOUT! YOU SAY CONDO, YOU SEE LAKE HOME! THIS 6 BEDROOM, 4.5 BATH FORMER LODGE HAS EXTENSIVELY REMODELED INTERIOR WITH TONGUE & GROOVE PINE, WOOD FLOORS & STEEL ROOF. UPPER . . .
SOUTHWESTERLY FACING VIEWS ON PRISTINE ROUND LAKE. ELEVATION IS MEDIUM WITH SLOPE TO THE WATER AND . . . 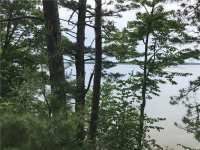 ROUND LAKE--GORGEOUS LAKE LOT WITH SANDY FRONTAGE, LEVEL AREA AT THE LAKE FOR EASY ACCESS TO THE SHORE, AND PERFECT TOPOGRAPHY FOR A WALK-OUT BASEMENT. WITH ELECTRICITY, . . . 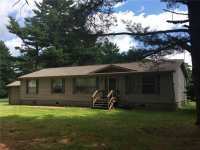 THIS RECENTLY REMODELED 3 BDRM (PLUS BUNK HOUSE) 2 BATH BIG ROUND LAKE HOME ON 125 FT OF SANDY FRONTAGE W/1.42 ACRE WOODED LOT IS SURE TO PLEASE. THE PERFECT GET AWAY . . . THIS HOME IS A MUST SEE WITH 180 FT OF FRONTAGE ON ROUND LAKE. YOU'LL LOVE SPENDING TIME AT THIS . . . IMAGINE SPENDING SUMMER DAYS UNDER THE TOWERING NORWAY PINES NEXT TO THE PRISTINE WATERS OF ROUND LAKE NEAR MCGREGOR. WHEN EVENING FALLS, WATCH THE SUNSETS THEN HEAD . . . 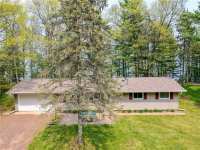 EXCEPTIONAL WOODED ROUND LAKE LOT . GREAT ELEVATION FOR A WALKOUT BASEMENT IN YOUR NEW CONSTRUCTION. ONE OF THE LAST REMAINING LOTS ON ARGUABLY THE AREAS MOST PREMIER . . . LOCATION PROVIDES A VIEW OF SUNSETS ACROSS THIS PRISTINE, CLEAR WATER LAKE. LEVEL TERRAIN PROVIDES . 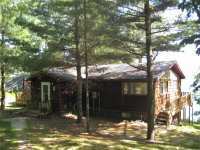 . .
COUNTRY CABIN NESTED IN THE PINES ON ROUND LAKE WITH 201' OF SHARED FRONTAGE. NATURAL HICKORY CABINETRY AND FLOORING, STAINLESS STEEL APPLIANCES, VAULTED CEILINGS, FLOOR . 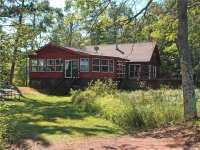 . .
COUNTRY CABIN NESTLED IN THE PINES ON ROUND LAKE WITH 201' OF SHARED FRONTAGE. 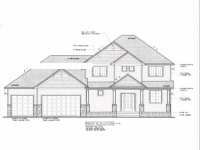 NATURAL HICKORY CABINETRY AND FLOORING, STAINLESS STEEL APPLIANCES, VAULTED CEILINGS, . . . 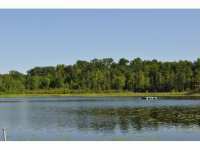 LOCATION PROVIDES A VIEW OF SUNSETS ACROSS THIS PRISTINE, CLEARWATER LAKE. LEVEL TERRAIN PROVIDES . . . THIS IS THE SUMMER CABIN OF YOUR DREAMS. 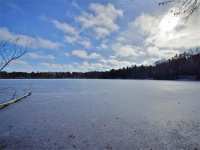 ENJOY YOUR OWN 115 FEET OF SANDY BEACH ON CRYSTAL CLEAR, SPRING FED ROUND LAKE. LOCATED AT THE END OF THE ROAD, YOU’LL HAVE . . . METICULOUSLY CARED FOR CABIN. MOVE-IN READY. TWO BEDROOMS, TWO SPACIOUS BATHS AND OPEN LIVING AREA. ENJOY THE WOOD BURNING FIREPLACE AND HOT TUB IN THE PORCH OVERLOOKING . 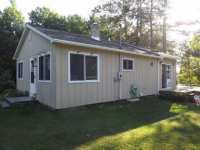 . .
ADORABLE ROUND LAKE PROPERTY HAS BEEN RENEWED AND REFRESHED - READY FOR SUMMER! 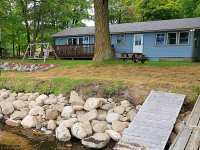 THIS 3 BEDROOM, 1 . . .
PRIVACY ON ROUND LAKE THAT INCLUDES LARGE 2.84 ACRE BACK LOT. 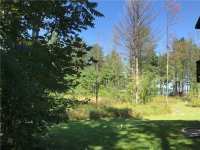 HEAVILY WOODED ACREAGE ON THE WEST SIDE OF THE LAKE WITH NICE SECLUSION AND PLENTY OF ROOM FOR BUILDING. . . . 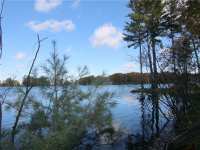 ENJOY BEAUTIFUL ROUND LAKE ON THE .60 ACRE BUILDING SITE. 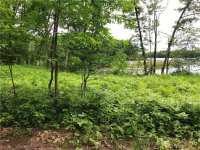 BUILD YOUR DREAM HOME OR RETREAT ON THIS WOODED & LEVEL LOT WITH A MEDIUM ELEVATION TO THE LAKESIDE. THIS SITE . . . MODERATE ELEVATION AND NORTH FACING VACANT LOT ON PRISTINE ROUND LAKE. 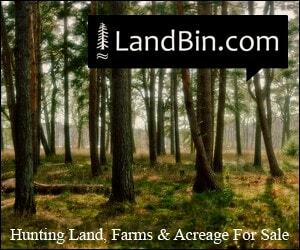 NICELY WOODED .65 ACRES WITH . . .
CHARMING 4 BEDROOM, 2 BATH "TURN-KEY" LAKE HOME OVERLOOKING ROUND LAKE. HOME HAS OPEN CONCEPT AND A FULL FINISHED WALKOUT BASEMENT. 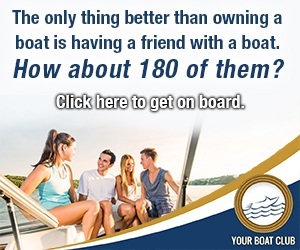 INCLUDES DOCK, PONTOON AND HOT TUB! . . . 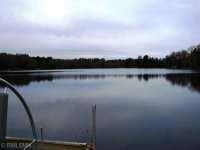 ENJOY BEAUTIFUL ROUND LAKE ON THE .60 ACRE BUILDING SITE. 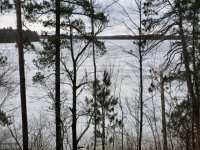 BUILD YOUR DREAM HOME OR RETREAT ON THIS WOODED &AMP; LEVEL LOT WITH A MEDIUM ELEVATION TO THE LAKESIDE. THIS . . . 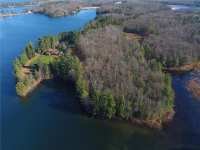 ROUND LAKE LOT WITH 140' OF PERFECT ELEVATION AND CRYSTAL CLEAR WATERS. 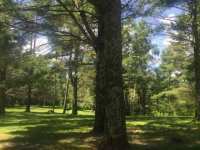 1.69 ACRE HEAVILY WOODED PARCEL WITH MATURE PINES AND FABULOUS BUILDING SITE FOR YOUR NORTHWOOD'S . . . ENJOY THE USE OF A DOCK SLIP IN A PROTECTED WATERFRONT COVE AND SHARED SWIM DOCK ON ROUND LAKE. . . .
387 FEET OF FRONTAGE ON ROUND LAKE LOCATED JUST 7 MILES NORTH OF BOULDER JUNCTION. GREAT PRICE FOR . . .
WESTERLY FACING SEASONAL CONDO CABIN ON CRYSTAL CLEAR ROUND LAKE. 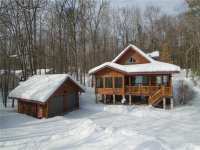 THIS THREE SEASON CABIN, IS COMPLETELY FURNISHED AND READY TO MOVE IN! THE CABIN HAS AMAZING VIEWS AND . 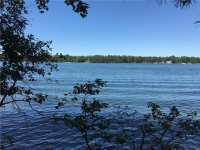 . .
DON'T OVERLOOK THIS GORGEOUS, LEVEL ROUND LAKE WATERFRONT LOT - OFFERING 175 FEET OF SAND SHORELINE WITH 1.85-ACRES (HALF OPEN AND HALF WOODED). IDEAL LOCATION TO BUILD . . . IT DOESN'T GET MUCH BETTER THAN THIS! ADORABLE WATERFRONT CABIN TUCKED AWAY ON THE SHORES OF ROUND . 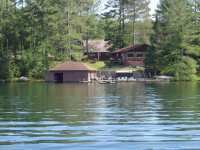 . .
YOU WILL LOVE THIS BEAUTIFUL, ONE OF A KIND PROPERTY THAT FEATURES OVER 23 ACRES AND WATER FRONTAGE ON BOTH LONG AND ROUND LAKE. BEING SOLD AS ONE LARGE LOT OR CAN BE . . .
GET READY FOR SUMMER! AFFORDABLE, CUTE, COZY, AND FISH GALORE! SPECTACULAR SUNRISE VIEW OF 1086' . . . 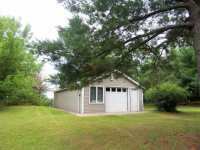 THIS ADORABLE TWO BEDROOM YEAR ROUND HOME SITS ON OVER HALF AN ACRE OF LAND, WITH SANDY BEACH FRONTAGE ON ROUND LAKE. ROUND LAKE IS A FULL RECREATION LAKE WITH NO PUBLIC . . . 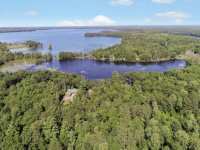 BUILD YOUR DREAM HOME ON ONE OF POLK COUNTY'S BEST FISHING LAKES, INCREDIBLE SANDY BEACH SHORELINE AND LOT IS BUILD READY. ADORABLE AND AFFORDABLE! 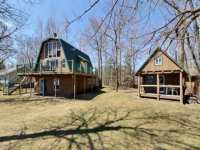 THIS TWO BEDROOM COTTAGE OFFERS ALL YOUR NEED FOR YOUR UP NORTH ESCAPE WITH 100 FEET OF FRONTAGE ON A FULL RECREATION LAKE IN THE HEART OF THE . . . 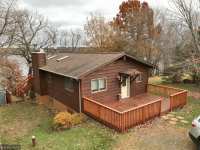 CUTE 2 BEDROOM, 1 BATH CABIN ON THE WATER'S EDGE OF ROUND LAKE. THIS LAKE OFFERS FULL RECREATION AND GREAT FISHING. CABIN ALSO OWNS 29' OF FRONTAGE. DON'T MISS OUT ON . 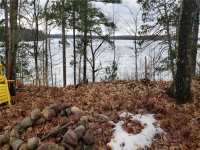 . .
GREAT BUILDING POTENTIAL WITH THIS 4+ ACRE LOT AND ACCESS TO ROUND LAKE! LOCATED IN A QUIET BAY WITH VIEWS OF LITTLE ROUND AND OSPREY CREEK. MAY BE POSSIBLE TO DIVIDE . 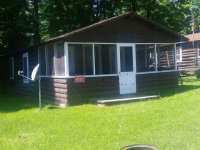 . .
100 FT OF SANDY SWIMMING, GREAT FISHING ON FULL RECREATIONAL LAKE. 36X20 BUNKHOUSE OR STORAGE BUILDING TO START THAT GREAT ESCAPE FOR LAKESIDE FUN! 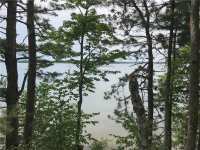 WOODED CONDO LOT WITH 201 FEET OF SHARED FRONTAGE ON ROUND LAKE. 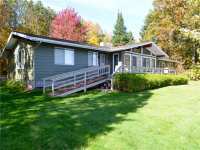 INCLUDES OWNERSHIP IN 1/2 DOCK AND COMMON AREAS TO INCLUDE PICNIC GROUNDS AND TRAILS. GREAT OPPORTUNITY . . . 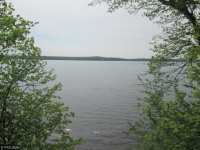 WOODED CONDO LOT WITH 201 FEET OF SHARED FRONTAGE ON ROUND LAKE. 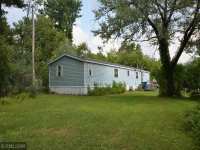 INCLUDES OWNERSHIP IN 1/2 DOCK AND COMMON AREAS TO INCLUDE PICNIC AREA AND TRAILS. GREAT OPPORTUNITY TO . . . 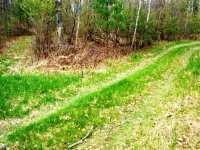 ENJOY THE BEAUTIFUL QUIET NORTHWOODS WITH LOTS OF WILDLIFE ON 4+ ACRES CLOSE TO THE ROUND LAKE CHAIN, UPPER TWIN LAKES, AND SPIDER LAKE CHAIN. 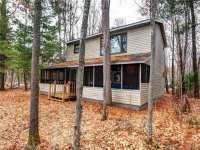 HOUSE IS BEING SOLD AS IS. . . .
BEAUTIFUL WOODED 2+ ACRE PARCEL WITH ACCESS TO ROUND LAKE. MODERATE TERRAIN THAT GRADUALLY SLOPES TO LEVEL ELEVATION ALL THE WAY TO LAKE. PERFECT ACREAGE FOR WALK-OUT . . .
BEAUTIFUL WOODED 2+ ACRES WITH ACCESS TO ROUND LAKE MODERATE TERRAIN THAT GRADUALLY SLOPES TO LEVEL ELEVATION ALL THE WAY TO THE LAKE. PERFECT FOR WALKOUT BASEMENT. . . . 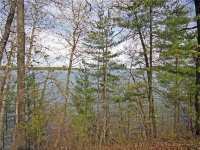 PERFECTLY LEVEL AND AFFORDABLE LARGE LAKE LOT WITH OPEN AND WOODED AREAS FOR BUILDING SITES CONVENIENTLY LOCATED IN THE CITY OF SHELL LAKE. THIS 3+ ACRE LOT HAS ROUGHLY . . . ROUND LAKE COTTAGE- FULL LOG ONE BEDROOM STUDIO CONDO ON ROUND LAKE. 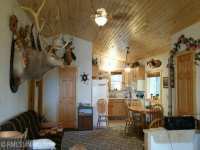 LOCATED AT MOOSE JAW RESORT IN THE HEART OF RECREATIONAL ACTIVITIES SUCH AS FOUR WHEELING, HUNTING, . . . 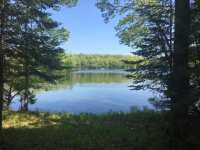 BEAUTIFULLY WOODED 1.9 ACRE LAKE LOT WITH 80 FEET OF FRONTAGE ON PEACEFUL ROUND LAKE IN OCONTO COUNTY. 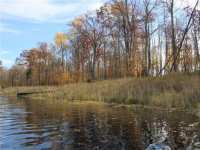 ROUND LAKE IS 31 ACRES IN SIZE, IS OVER 30` DEEP AND IS LOCATED . . . 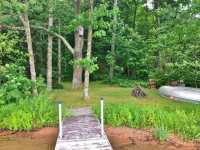 VERY LEVEL, MOSTLY WOODED LOT ON ROUND LAKE. EXCELLENT BUILDING OR CAMPING SITE , WITH ELECTRIC AT THE STREET. THIS LARGE LOT OFFERS PLENTY OF SPACE AND PRIVACY. ROUND . 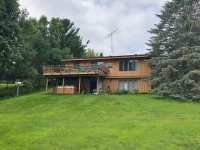 . .
32 Listings in Balsam Lake WI ..
41 Listings in Battle Lake MN ..
29 Listings in Bovey MN ..
76 Listings in Brainerd MN ..
404 Listings in Hayward WI ..
7 Listings in Laona WI ..
35 Listings in Luck WI ..
21 Listings in Ponsford MN ..
17 Listings in Shell Lake WI ..
2 Listings in Squaw Lake MN ..
35 Listings in Stillwater MN ..
16 Listings in Suring WI ..
3 Listings in Tamarack MN ..
30 Listings in Wabeno WI ..
Locals and those "in-the-know" commonly refer to Hayward, Wisconsin as the Walleye Capital of the World. There's a reason for that. Walleye fishing here is much more than a pastime...it's a way of life. Local residents and annual visitors alike come to Round Lake to experience excellent walleye fishing on one of Wisconsin's most beautiful bodies of water. Round Lake is located in Sawyer County Wisconsin just outside of Hayward, Wisconsin. With a water surface area just over 3,000 acres, Round Lake is large enough for excellent fishing, but small enough to maintain a certain coziness, if you will. Its maximum depth is approximately 73 feet. With a complicated lake bottom structure, Round Lake is not only a great spot for walleye, bluegills, crappies, muskies, northern pikes, smallmouth bass and largemouth bass can all be found spawning in its waters. The wildlife here at Round Lake certainly isn't confined to the water. Blue herons and American pelicans fish the waters in search of their next meal. Mallards nest along the shoreline. Eagles next in the area, so be sure to keep on the look-out for these majestic creatures. Otters, ospreys, beaver and maybe even the occasional black bear roam the forests lining the shores of Round Lake. The climate is also perfect for those who love the weather here up north. July is the hottest month, but the average temperature hovers around 80 degrees. Warm enough, but certainly nothing compared with the blazing hot summer temperatures to the south. Winters are cold, but that make the area surrounding Round Lake that much more perfect for ice-fishing, snow-mobiling, snow-shoeing and cross country skiing. If you are looking to experience the peace and solitude of Round Lake, but aren't sure where to begin, be sure to check out the outstanding array of vacation homes available on the lakeshore. Round Lake real estate is a valuable commodity in these parts though, so if you happen to find your dream property here on the shores of Round Lake, be sure to act quickly to avoid it being snatched out from under you by another buyer! 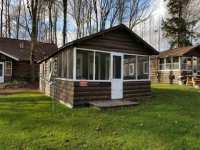 Some of these marvelous vacation cabins and luxury lakeshore properties may be available for short and long term rentals if you are looking for a way to visit and learn the lay of the land before committing to a purchase yourself. 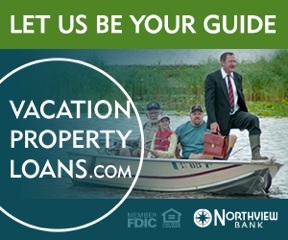 If you are seriously seeking Round Lake vacation property, it is critical to find a real estate agent who is familiar with the area to help assist you in your endeavor. The real estate professionals at LakePlace.com are always happy to help you find your perfect home away from home here in the North Woods. If you are visiting for the first time, it's not even necessary to bring your own boat. The Round Lake Marina is sure to offer every type of rental to suit your fishing and recreational needs, including everything from pontoon boats to fishing boats to supplies for water-skiing. For those with their own boats, public boat access points are available at various locations around the lake. Whether you are looking to catch a lot of fish, or simply looking for the perfect place to canoe, kayak and experience the beauty of the North Woods, Round Lake is sure to suit your needs. Watch the sunset from the dock of your vacation property. Fish for sunfish outside your back door or venture to the nearby Namakagon River for terrific trout fishing in its roaring currents. Hike through the boreal forest of the Chequamegon National Forest in search of wild birds and animals. Snow-mobiling and cross country skiing are amazing pastimes to enjoy in the Wisconsin winter. In fact, the area surrounding round lake is home to the world famous American Birkebeiner cross-country skiing trail. For the more adventurous canoers and kayakers, check out the rapids of the Flambeau River. In the evening, cook your dinner out over the campfire under the Wisconsin night sky. Once you have allowed the lake to rejuvenate your spirit, take a look at the excellent area golf courses, antique shop in Hayward or visit the nearby Lac Courte Orielles Casino for gaming entertainment. Other area attractions include the National Apostle Islands Lakeshore and the charming lakeside community of Bayfield on Lake Superior. The communities of Chippewa, Hayward, Hunter, Lenroot, Winter, and Spider Lake are all easily accessible from Round Lake. There is always something new and exciting to experience here in the Round Lake area. Why wait? Come and experience Round Lake for yourself. Round Lake is a small, quaint town, adjacent to Big Round Lake, located in Sawyer County, Wisconsin. The population of this small town is estimated to be approximately 1,000 people. Although sparsely populated, the Round Lake area is an extraordinarily friendly community, always welcoming visitors with open arms to their Northwoods paradise. With its unparalleled hospitality and natural beauty, Round Lake is a fabulous choice for a vacation destination. Big Round Lake itself is a little over 3,000 acres with an average depth of thirty-five feet. There is a channel connecting Big Round Lake to Little Round Lake and a dam-controlled inlet from Lake Placid. Little Round Lake is much smaller with two hundred thirty acres and an average depth of twelve feet. Families visiting Round Lake can enjoy a multitude of relaxing activities from a bygone time. Quiet afternoons fishing, swimming in the lake or just sitting in the sun observing the plentiful wildlife. The Round Lake Marina allows visitors to rent jet skies, ski boats and pontoon boats, allowing visitors to fish or frolic out on the open water of the lake. With its size and depth, Big Round Lake is an ideal spot for kayaking and canoeing. From the serenity of the lake, boaters can absorb the scenery and catch glimpses of the breath-taking wildlife of the area such as beavers, otters, bald eagles, hummingbirds, woodpeckers, muskrats and even bear. Fishing aficionados can enjoy the plentiful muskellunge, smallmouth bass, largemouth bass, crappies, rock bass, perch and walleye in Big Round Lake. Waterfowl abound along the bays and inlets of this gorgeous body of water, providing excellent subjects for both amateur and professional bird watchers. Trails surrounding the area allow numerous opportunities for hiking, All-Terrain Vehicle riding and mountain biking through the warmer summer months. Golfers can enjoy one of the numerous, award-winning golf courses of the nearby Hayward area. For braver, adventure seekers, the nearby rapids of rivers near towns such as Lenroot, Wisconsin beckon with unique kayaking and canoeing opportunities. In winter, visitors can enjoy snowmobiling, ice fishing, dog sled races and cross country skiing as they absorb the winter splendor of the Northwoods region of Wisconsin. For a unique and memorable day trip from Round Lake, visitors can travel north to explore the Apostle Islands, the south shoreline of the great Lake Superior and the picturesque town of Bayfield, Wisconsin. Known as the gateway to Madeline Island and the Apostle Islands, the town of Bayfield is a memorable and unique day trip destination from the Round Lake area. This artistic and relaxed community features fabulous dining and shopping against its quaint village backdrop and the breath-taking views of Lake Superior. Visitors to this community can even arrange for a day of sailing on Lake Superior or an island cruise to one of the numerous and spectacular Apostle Islands. If you have the opportunity to visit in the autumn, be sure to check out the annual fall Apple Festival in this charming town. 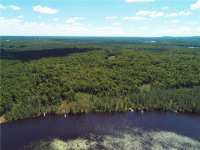 Located in close proximity to the Round Lake area is the renowned Chequamegon-Nicolet National Forest, featuring nationally acclaimed hiking trails such as the Ice Age Trail and the North Country Scenic Trail, running from North Dakota to New York through this scenic forest. Chequamegon-Nicolet National Forest is also an excellent destination for camping, mountain biking, water sports, cross country skiing and picnicking. For Round Lake visitors seeking quiet, yet luxurious accommodations, consider staying at one of the comfortable and accommodating resorts and lodgings along the shoreline of Big Round Lake near the town of Hayward, Wisconsin. Many of these resorts feature cabins or cottages in a variety of sizes to comfortably accommodate families or groups of all sizes. The cabins themselves often feature fully equipped kitchen facilities and a variety of other amenities, such as private beachfront areas, pools, private docks, gas fireplaces, whirlpools and more. For those looking to settle or purchase a vacation home in the Round Lake region, beautiful residential properties abound in this pristine wilderness. Many spectacular, privately-owned vacation homes of the Round Lakes regions are available for rental or purchase. In addition to the restaurants located at the resorts of Round Lake, the nearby town of Hayward features many dining choices sure to appeal to every member of your traveling party. Furthermore, an afternoon visiting the quaint antique and gift shops lining the streets of Hayward is a delightful diversion from the hustle and bustle of normal life. Regardless, of how or where you choose to spend your time at Round Lake, it is sure to be a wonderfully laidback vacation experience. With the magnificent natural scenery and the wide variety of available activities and day trips, you and your family will treasure the memories of your time in the Round Lake area for years to come.